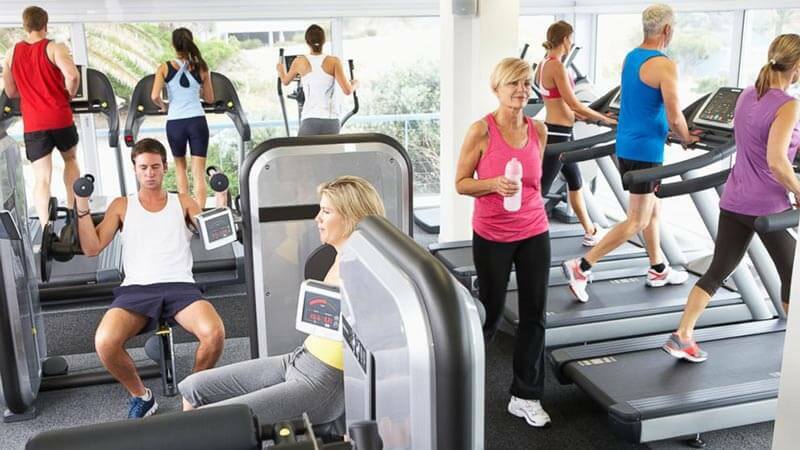 According to a two year study of Facebook data by the Wall St Journal, check-ins on Facebook to facilities with "gym" or "fitness" in the name drop 10% in February. The decline can start as early as the third week in January. This dip comes after more than a 50% surge from December as people chase vows to lose weight or get fit. And, IHRSA reports that there is a directly proportional relationship between a clubs spending on cleaning supplies and services and their return on investment. “There is a direct relationship between club performanceand the amount the club spends on housekeeping." Keeping a facility clean is a never-ending challenge for a club. In 2007, the typical IHRSA club indicated they had more than 130,000 visits, or about 350-plus visits per day. Imagine having 350 people touching your desk or using your shower every day; dirt and grime are bound to appear and might even build up if not cleaned properly. It is imperative for your club not to become complacent with its cleaning and maintenance routines and to put an emphasis on awareness of keeping your club clean all day and all year long. Make cleaning a team effort: revisit your club’s existing cleaning and maintenance plan with all key staff and contractors. Make sure your staff are trained and implementing your current cleaning and maintenance plan. Revisit your cleaning and maintenance plan to determine what changes, if any, may be required. Make sure equipment and locker rooms receive interim inspections and cleanings immediately before and after your prime-time traffic periods. Encourage staff to wash hands regularly with hot water and soap. Provide protective gloves for staff and employees, especially cleaning staff. Revisit local health codes and regulations to confirm your facility is in compliance. Make sure spray bottles are filled with a disinfecting solution, towels and/or disposable gym wipes are available to members to wipe down surfaces and equipment. Post signage and reminders asking members to clean equipment after use. Assign staff to periodically inspect/clean equipment and surfaces in locker rooms throughout the day. Reduce the risk of spreading disease-causing bacteria and viruses by using bleach when washing club towels. Use the hottest water possible and hottest heat setting on dryers for all laundry. Avoid overfilling washers. Overloaded washers are less effective. Avoid allowing used towels to pile up for extended periods of time; research has shown that some types of bacteria can survive and thrive in the laundry. Encourage members to report cleanliness concerns to senior staff, and have a system in place for responding promptly to members. Encourage members to wash hands regularly with hot water and soap.